The Earned Edition uniform is a special uniform reserved only for the teams who earned it by making the NBA Playoffs the previous season. The Earned Edition uniform completes the 2018/19 Jazz uniform collection with the return of the color green. Following the design of the gold Statement Edition, the new uniform features a green base with gold and white accents. The enlarged J-Note has been colored in the same manner as the classic green road uniform the Jazz wore when they made their debut in Salt Lake City 40 seasons ago, but with the current shades of Jazz gold and green. 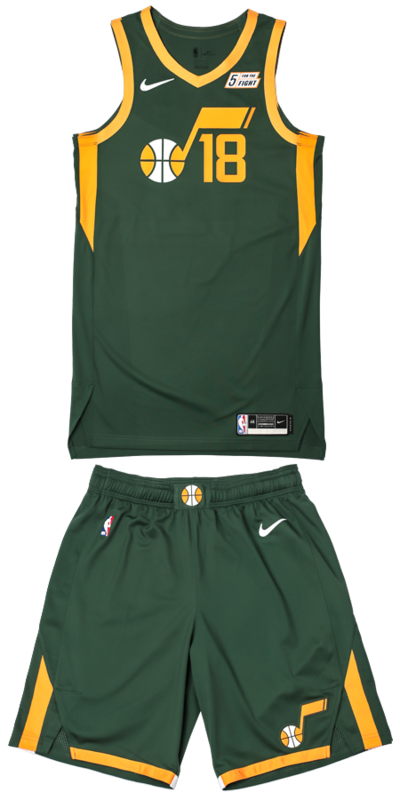 The uniform, which will make its on-court debut on Christmas Day, features gold, green and white side-panel color blocking sliced at a 66-degree angle. 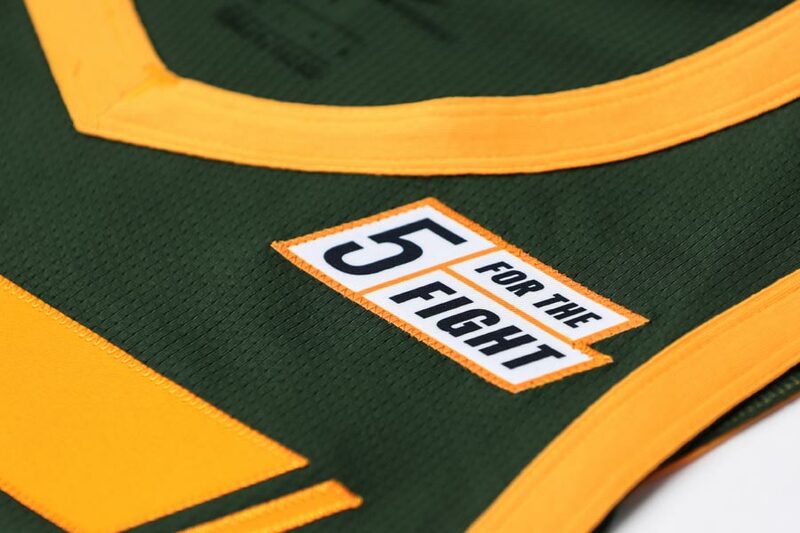 The uniform also includes the Nike logo on both the jersey and shorts, as well as a 5 For The Fight partnership patch on the jersey. 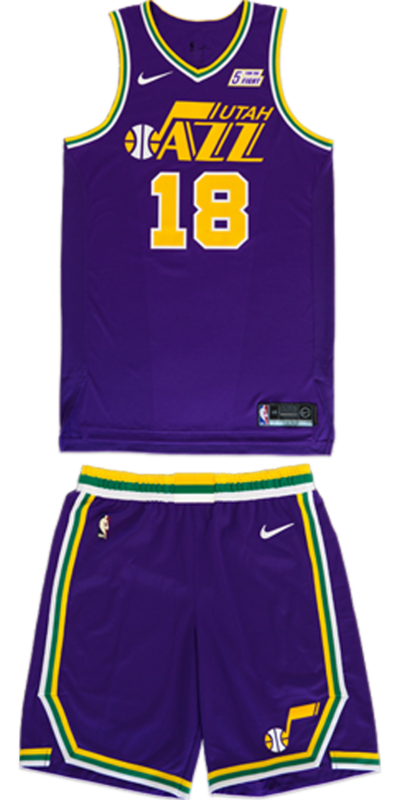 In commemoration of the 40th season of NBA basketball in Utah, the Jazz will wear uniforms that replicate the classic purple style worn in the mid-'80s and early '90s. Based on the road uniform worn for the majority of two decades, the purple jersey includes the classic striping of gold, green and white. The original Utah Jazz logo is featured on the front chest in gold and white, while gold numerals trimmed in white sit underneath. The shorts also feature the classic striping, as well as Utah's original J-Note logo on the front of the left leg. 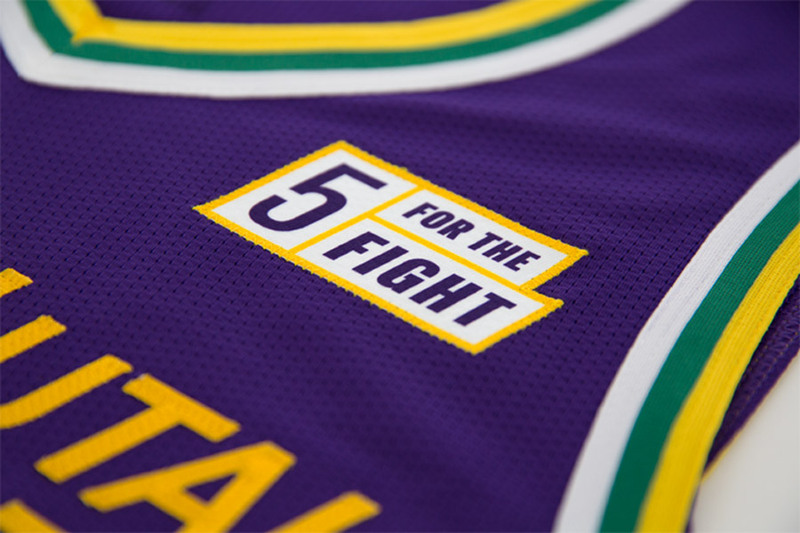 The uniform, which will be worn nine times this season, also includes the Nike logo on both the jersey and shorts, as well as a 5 For The Fight partnership patch on the jersey.